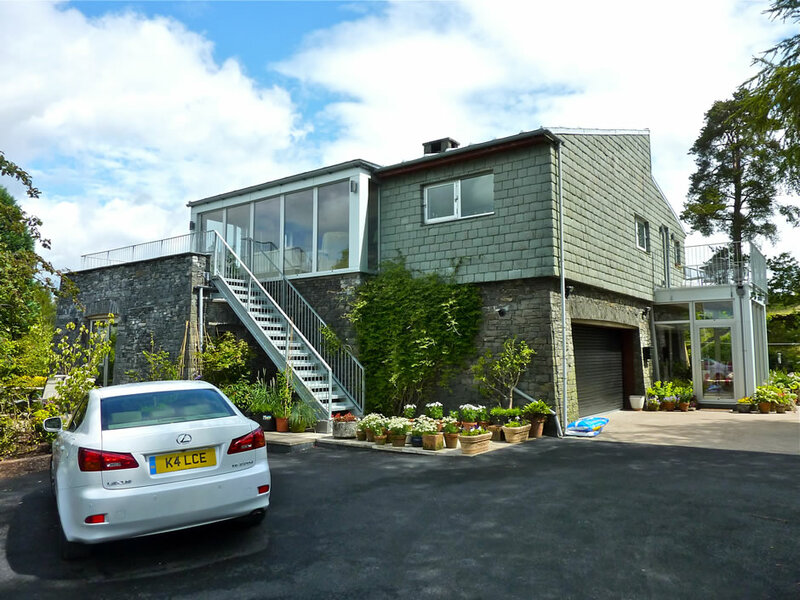 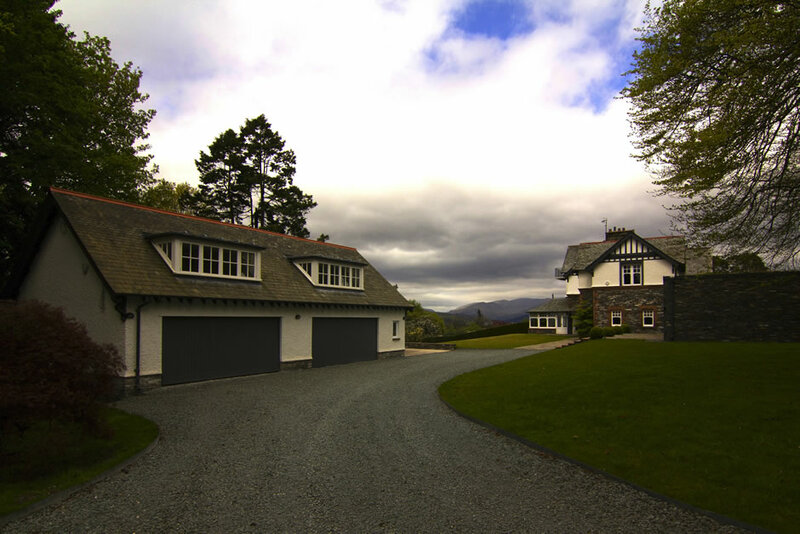 The initial brief for this project was to create a four-car garage, with office/playroom accommodation above, in the grounds of a ‘Pattinson’ house built in the 1890’s. 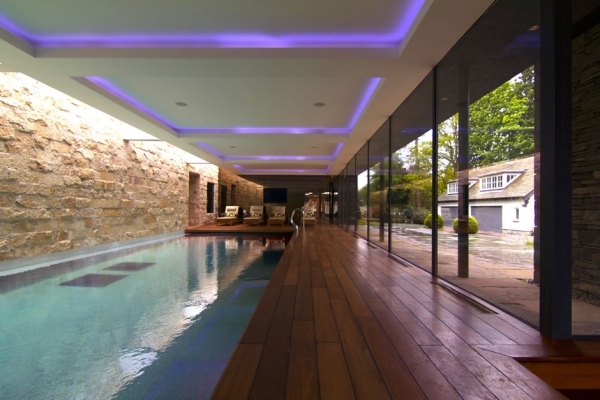 The built scheme satisfied this brief- along with an additional major extension in the style of the original house, and a contemporary extension with an indoor pool and sauna! 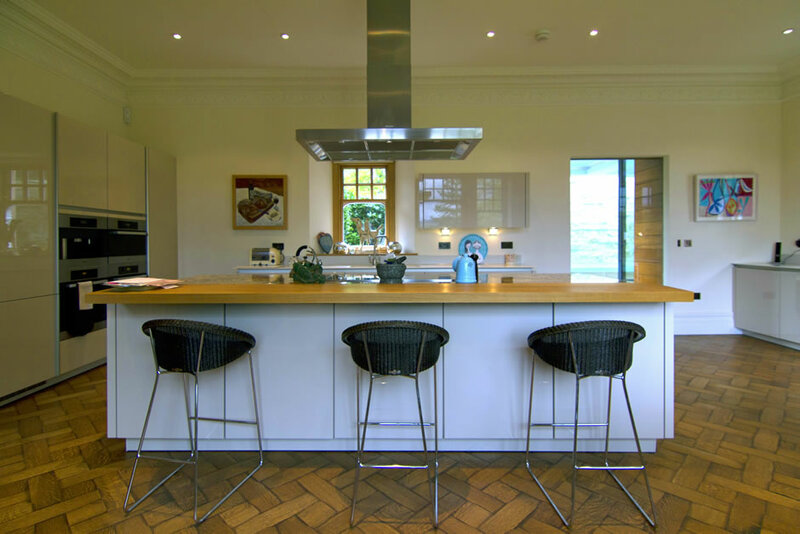 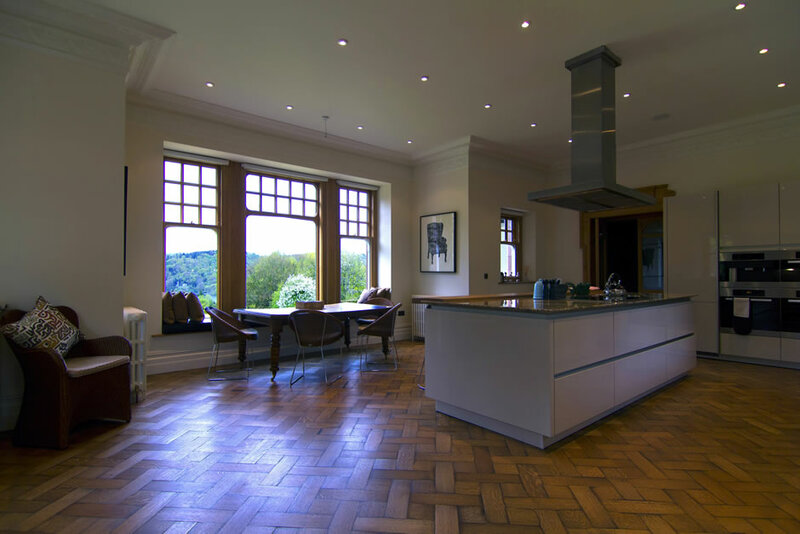 A large kitchen and master bedroom suite were created in the house extension. 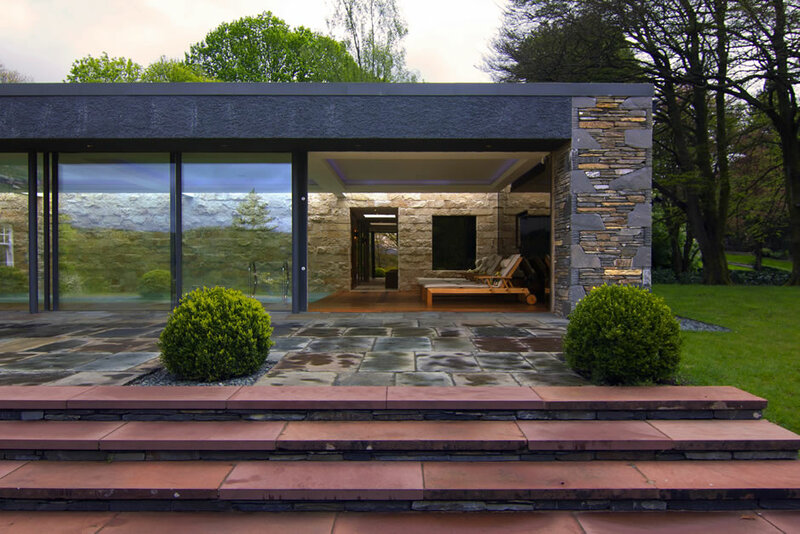 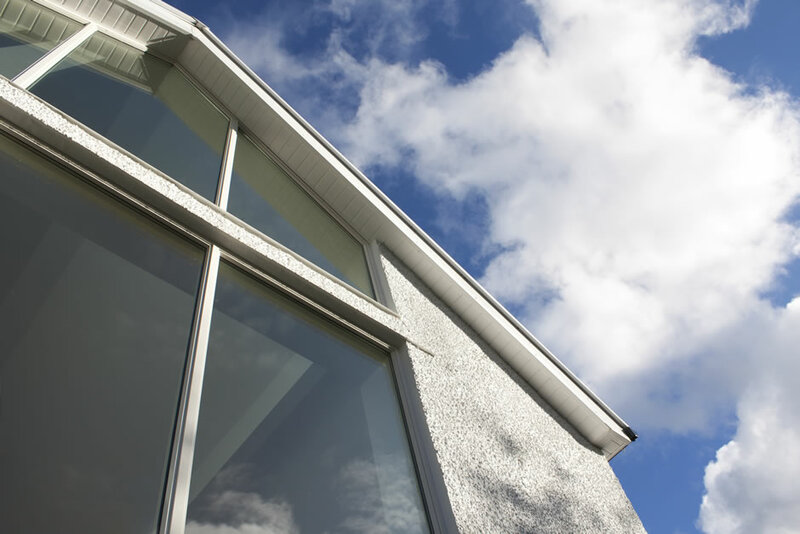 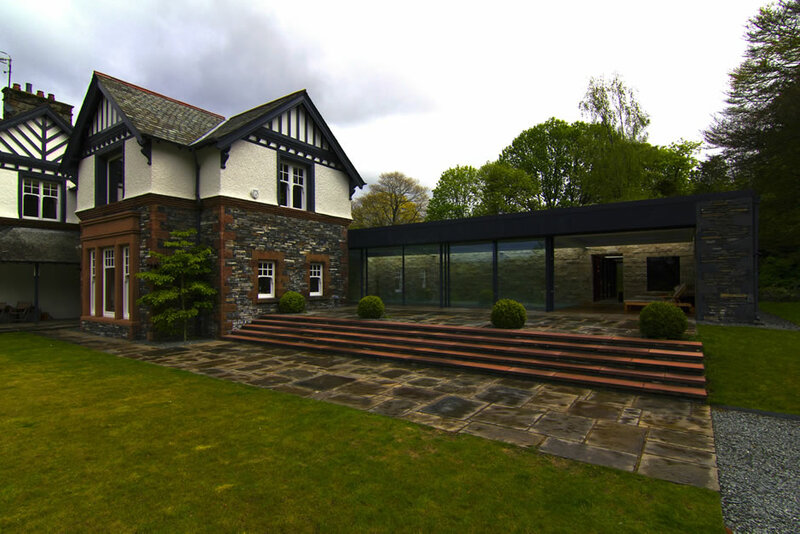 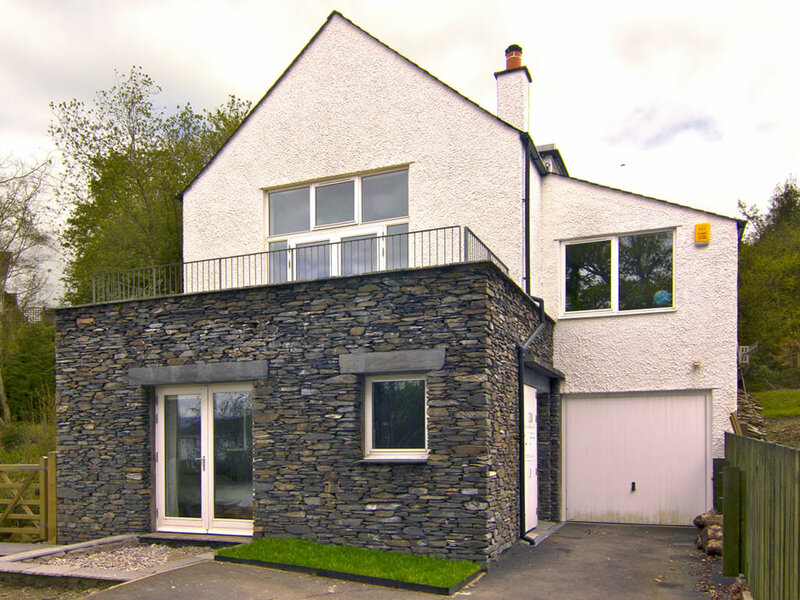 This extension adapted details from the existing building and reused architectural features. 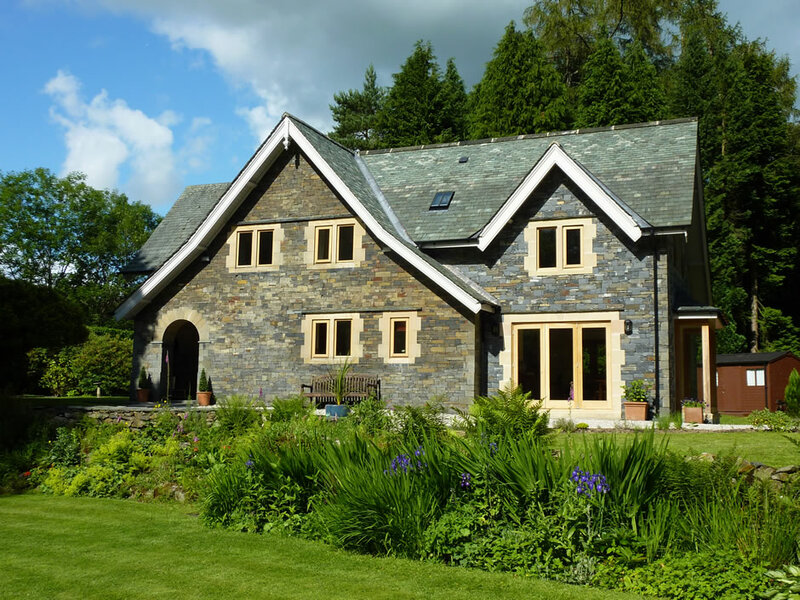 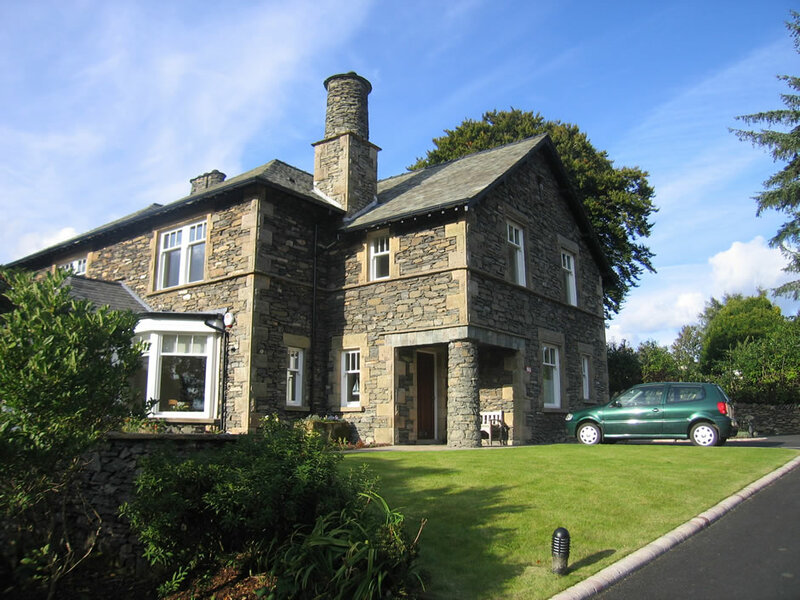 The gable elevation adjacent to the pool features original quoins and sandstone window surrounds. 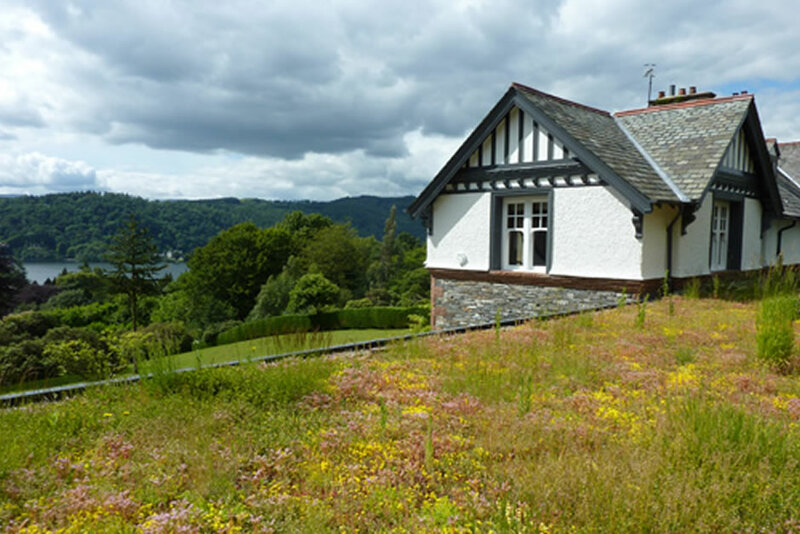 The pool building has a sedum covered flat roof, visible as a fifth elevation from the bedroom suite. 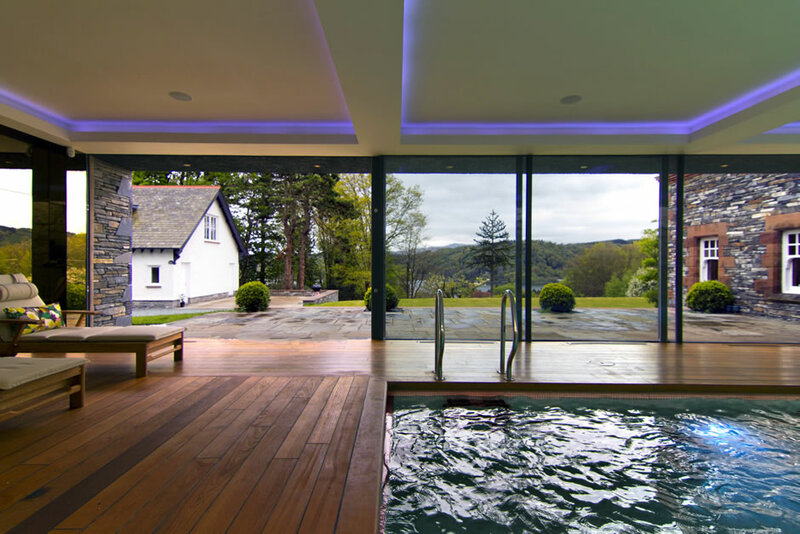 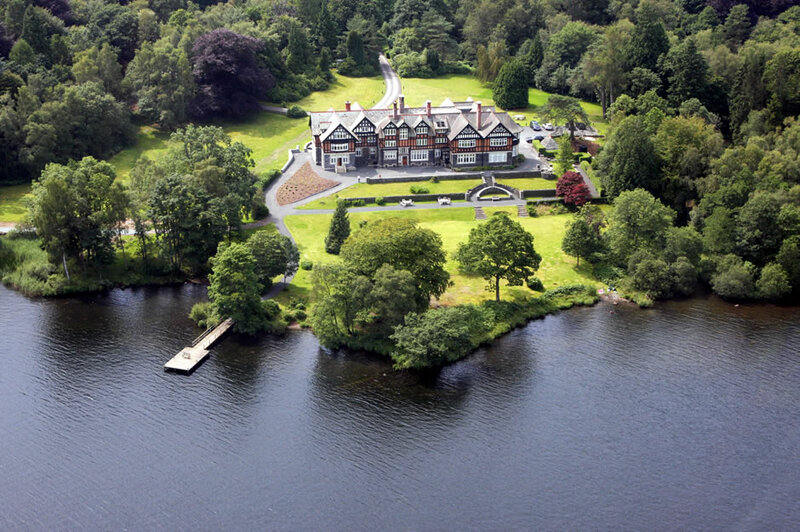 The property enjoys magnificent views to the lake and the height of the pool and external terrace were carefully considered to take maximum advantage of this aspect. 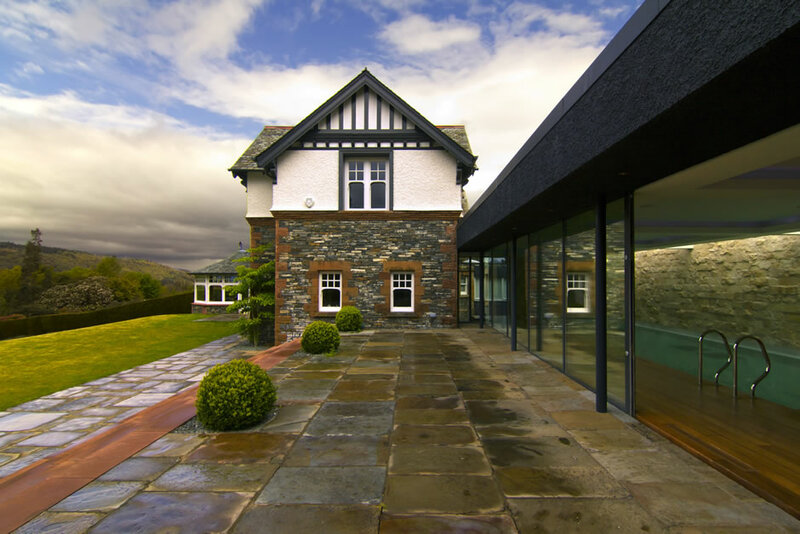 A new entrance drive was formed to access the property and extensive landscaping works create an open and unifying feel to the grounds.